Medical and health care professionals know that it is critical to properly handle and destroy medical records in order to protect their patient’s privacy and safeguard their medical records in accordance with the law. Doctors and anyone working within a healthcare facility is entrusted with an individual’s sensitive and confidential information such as name, contact details, medical billing, and social security numbers. The medical data must be handled with care and in compliance with State and Federal privacy laws. When it is time to have the medical records discarded, it is crucial that the record destruction process also must be managed by a trusted Medical Shredding Company like Neighborhood Parcel Medical Documents Shredders of Boston MA. Medical records and Patient’s X-ray Files are some of the most sought after sources of information for identity thieves. Not only is it important to make sure that your medical practice or office is shredding medical records but it is also the law! The Health Insurance Portability and Accountability Act, also known as HIPAA is very strict with the proper disposal of personal health information (PHI). Once your medical records have been converted to electronic format or passed their shelf-life, what do you do with them? You should not throw them away because you risk that they may fall into the wrong hands and expose your company to hefty fines. Always shred your old medical files and hire a trustworthy company such as Neighborhood Parcel that specializes in the Shredding of medical records and has been the trusted partner of many Boston-based medical practices, clinics, dentists, Chiropractors, Veterinarians, and hospitals. A greater emphasis on proper disposal of PHI has been made through modifications in HIPAA which requires scrutiny of companies destroying medical documents as well as the training of employees of medical organizations. Failures to provide proper training could be considered willful neglect and result in the highest level of mandatory fines. Per AMA, willful neglects fines start at $10,000 per violation. 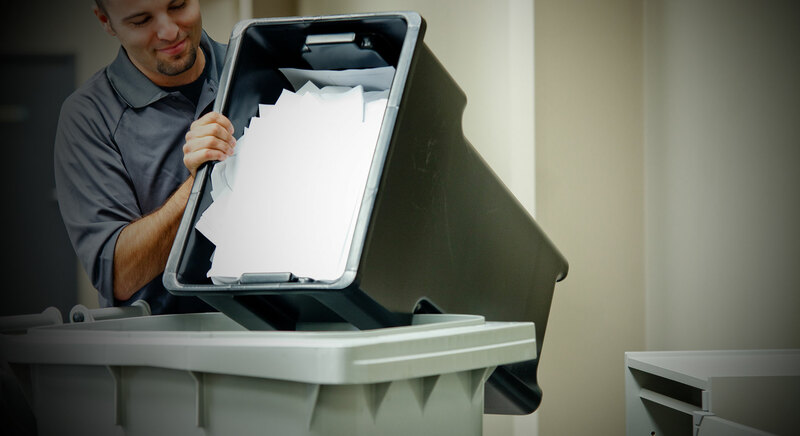 Our Medical Document Shredding Service Company ensures your medical records are destroyed properly and professionally after they leave your property. We are experienced in the confidential destruction of your medical files and X-rays. We help to ensure the privacy of your patients and customers day in day out. Medical organizations include doctors and their offices, hospitals, walk-in clinics, chiropractors, nursing homes, dentists, psychiatrists, massage therapists, counselors, veterinarians, and many other healthcare organizations that are connected to patient care. Un-secure Access: Often unsupervised medical files are left in file rooms, on desks and indoor folders. Poor Training: Staff is not trained on what patient information should be protected and securely destroyed. Bad Document Disposal: There may be times when the hospital can’t keep up with its document destruction requirements, and this backlog could provide opportunities for fraudsters to get a hold of information. Internal fraud: From doctors to nurses and hospital staff have access to patients’ confidential information. While most employees would never use this information for illegal purposes some may, either exploiting it or leaking it to others. Who uses our medical records shredding service? Call The Medical Shredding Service Pros!